Workflow for Nuix – Rampiva Inc.
Rampiva Workflow for Nuix is designed for reproducible and defensible data processing. 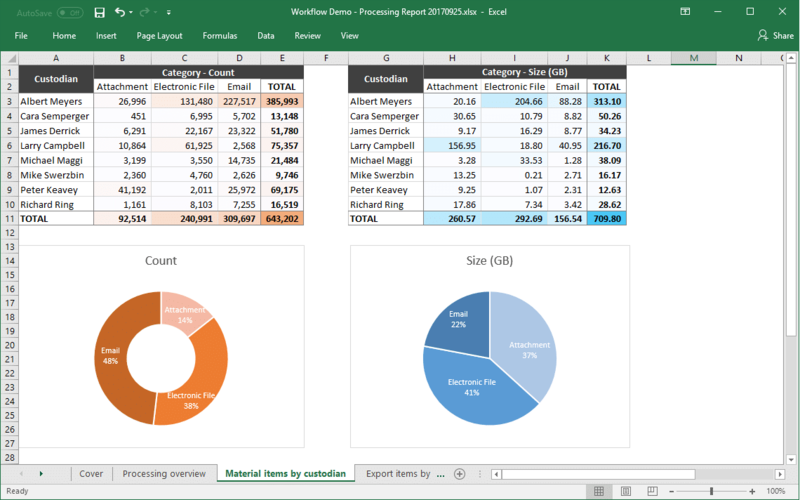 You can define a custom workflow for each type of case that your lab processes using typical operations that you would use in Nuix Workstation such as add evidence, deduplicate and produce legal export. 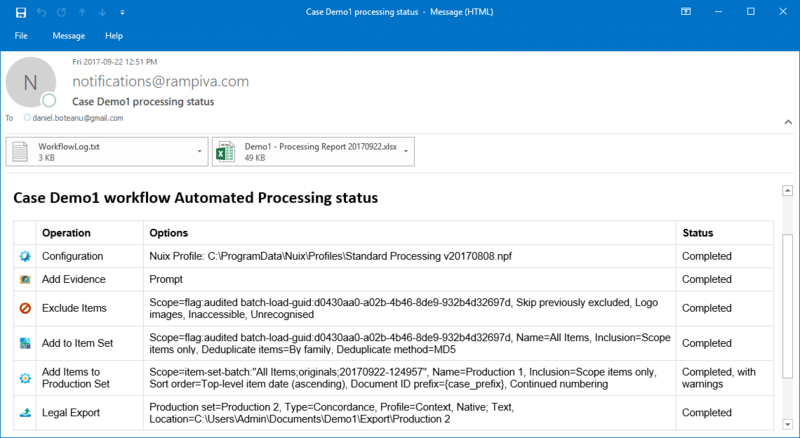 Rampiva Workflow tool also supports advanced operations such as finding emails sent between only certain individuals, deduplicating by custom fields and pinpointing all custodians and locations that contain copies of duplicate documents. With Rampiva Workflow , you can configure email notifications when the data finished loading, exporting or at any step in the workflow so you don’t have to constantly log back in to the Nuix server to inspect the processing status. Rampiva Workflow has built-in support for advanced reports including the number and size of items at each processing stage, a breakdown of items by date, a listing irregular categories and many other views. Using Rampiva Workflow, you can automate and standardize your processing workflow and optimize server utilization.